Known as a ‘drought tolerant’ crop, pomegranate or ‘anar fruit’ is native to Iran. Once they start fruiting they continue to give a good yield for the next century and a half. Hence it is one of the most widely grown commercial fruits in India. 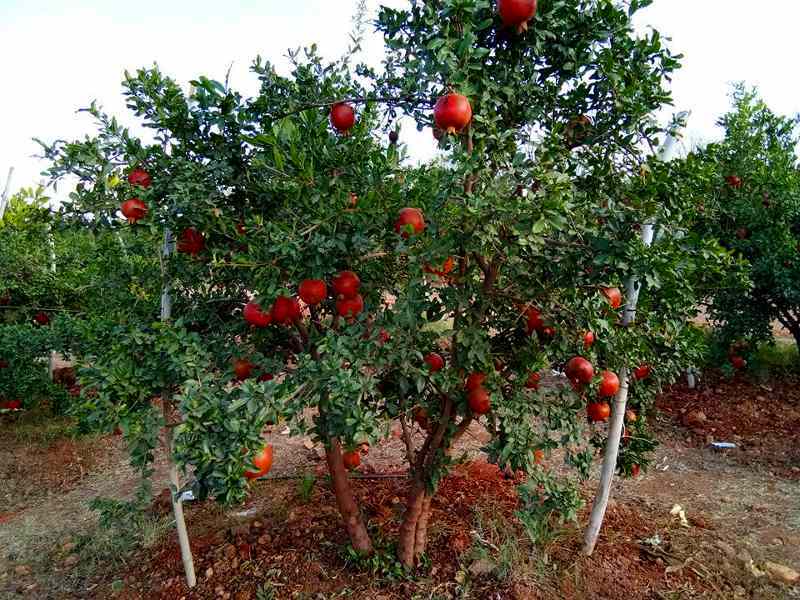 Globally, India is the leading producer of pomegranates. 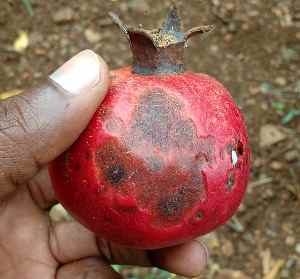 In India, pomegranates are commercially cultivated in Maharashtra. They are planted on a smaller scale in states of Gujarat, Rajasthan, Karnataka, Andhra Pradesh, Tamil Nadu, Punjab, Haryana and Uttar Pradesh. Botanical family Punicaceae has two members of which the commercially grown pomegranate is of commercial importance. 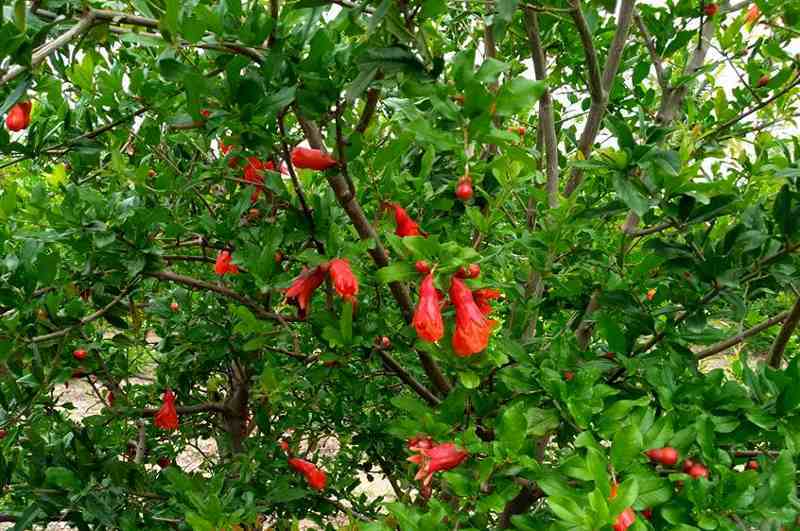 It is botanically called Punica granatum. It is deciduous shrub growing to a height of 6-10 meters. It has numerous spiny branches and narrow, oblong leaves. The flowers have between 3-7 petals and are bright red in colour. Botanically, the red to purple coloured fruits are called as berry since both seeds and pulp are produced from a single flower. The skin has 2 parts- the harder pericarp and an inner mesocarp. The mesocarp is spongy and the edible seeds or arils are attached to it. The seeds are juicy and their number can vary from 200 to 1400 in a single fruit. The land for pomegranate cultivation is prepared by ploughing thoroughly. It is ploughed repeatedly 3-4 times to break the soil clods, remove the debris and bring the sub-soil to the surface. Unwanted soil materials like rocks, stones, pebbles, etc. are removed. The soil is made into a smooth loose soil with fine texture. This step helps promote air circulation in the soil. Sometimes, organic matter is mixed with the soil during ploughing. Once ploughing is completed the land is levelled and prepared for plantation. Pests like fruit borers, aphids, mealybugs, fruit sucking moths and white fly affect pomegranates.